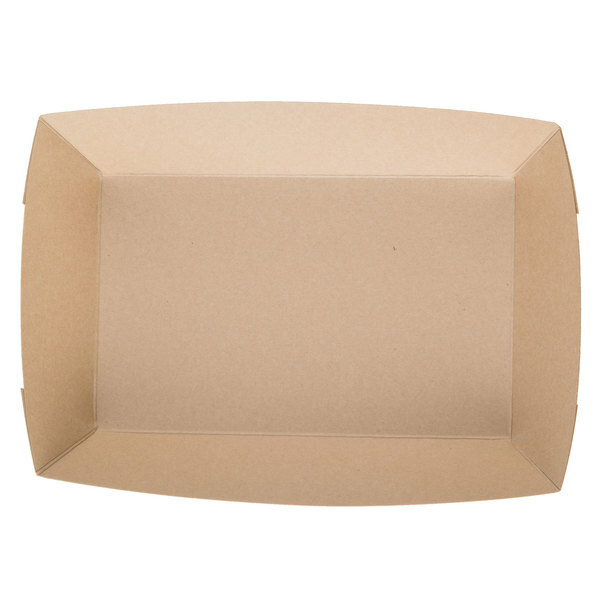 The Kraft lunch trays are perfect for your quick serve restaurant, drive-through window, snack bar, or concession stand. Strong enough to hold greasy, fried foods like quesadillas, wings, mozzarella sticks, onion rings, chicken fingers and more, these trays are great for serving a vast variety of food. The 2" lip around the edge of the tray keeps your food from falling, so that transferring the tray from the food stand to the table is an easy and worry free process. 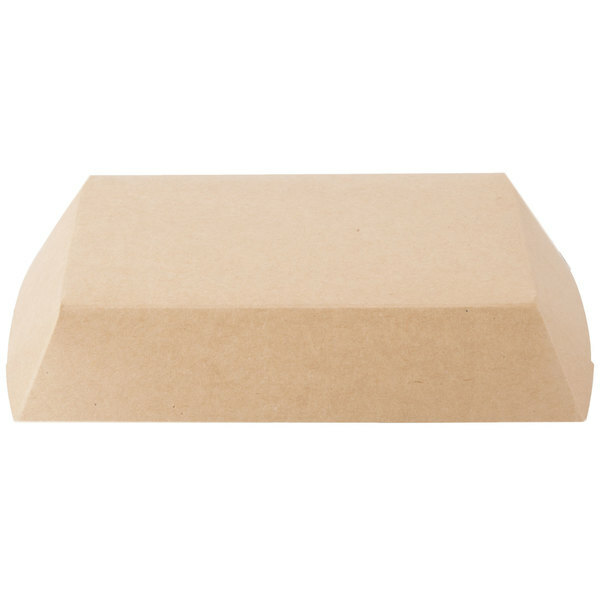 These Kraft trays are also a great way to show your customers your "green" side, as they contain at least 18% recycled wood fiber and can be recycled and even composted where facilities exist. It's good tray. 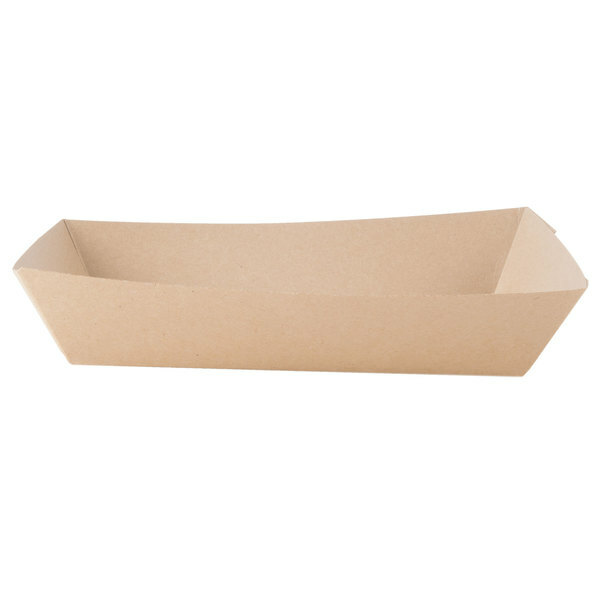 I could not find this size of tray at local restaurant stores, but I'm glad to find this one on Webrestaurant. The tray is pretty solid. Quality is not bad for the price. Just be mindful that the tray's top length is 9 1/2 inch. The top width is 6 1/2 inch. The product description for the length and width is for the bottom of the tray.